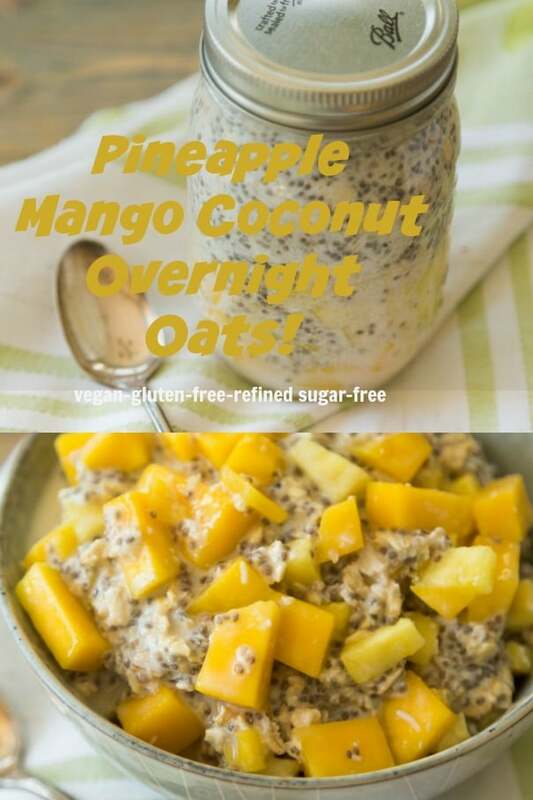 Our tropical overnight oats are made with only seven whole food ingredients, such as pineapple, coconut, mango and other healthy foods. 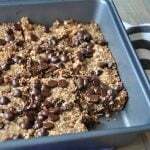 They’re super easy to make and are a great way to make sure that you always eat a healthy breakfast that will carry you through the morning. Let’s be real right here, would you pass up breakfast if this bowl of yum was put in front of you? 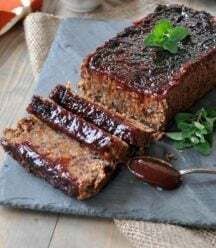 It looks like an islander dessert, and seriously, you could serve it up as one; however, you’re going to want to eat this for a guilt-free, healthy and satisfying breakfast. We’ve all heard it before, breakfast is the most important meal of the day. The fact of the matter is, it’s absolutely true. Eating breakfast can improve your physical and cognitive performance for the day and for your life. Don’t believe me? Read this. Breakfast is important, and what you choose for breakfast is equally as important. If you read the study that I linked to above, you learned that scientists found a 27% increase in heart disease in men who didn’t regularly eat in the morning. They also found that men who chose foods high in fat (bacon & eggs) also had a higher rate of atherosclerosis. Clearly, what you eat is as important as when you eat. Most of us already know that meat (especially processed meats, such as bacon), eggs, and dairy are not good for us, but what about sugar? Wouldn’t it just be easier to pour a bowl of cereal in the morning, or toast some bread and spread fruit jam on it? Sure, that would take less time than cutting up some fruit and mixing it in a jar with oats and chia seeds, but it wouldn’t be as healthy. Boxed cereals are processed foods, no matter what the labels say. They’re full of added sugar and most of the nutrients of the good stuff are stripped away during the manufacturing of the food. If you really want to up your game and eat for energy and optimum performance, you’re going to need to step away from the boxes. Okay, so we know that breakfast is the most important meal of the day, and we know that this is only true if you choose the right foods. Eating whole foods in their natural state will set you up for a happier and more productive day. That’s where our simple overnight oats come in. 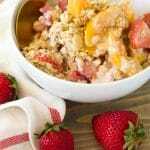 It couldn’t be more simple to make our healthy fruit and oats recipe. It’s filled with healthy ingredients that will energize you and slowly metabolize so you don’t have a rush and crash kind of morning. 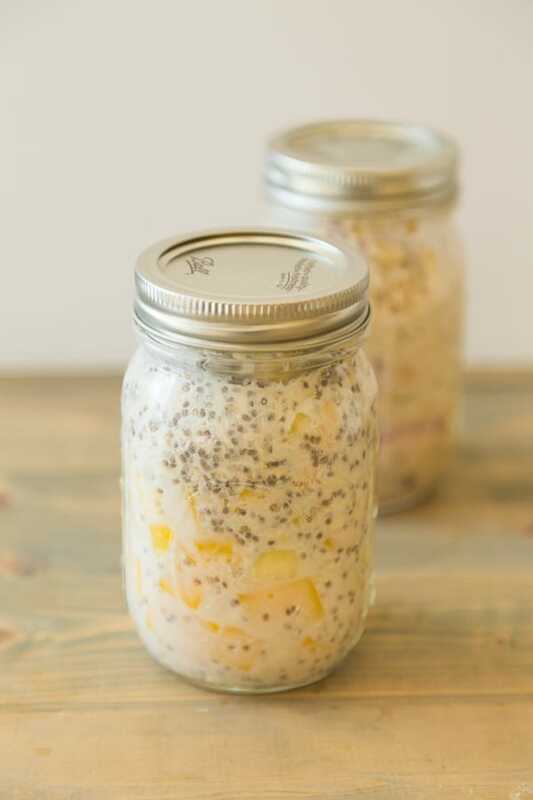 Second – Fill a mason jar, or any container with a lid, with the fruit, rolled oats, chia seeds, coconut, maple syrup and almond milk. 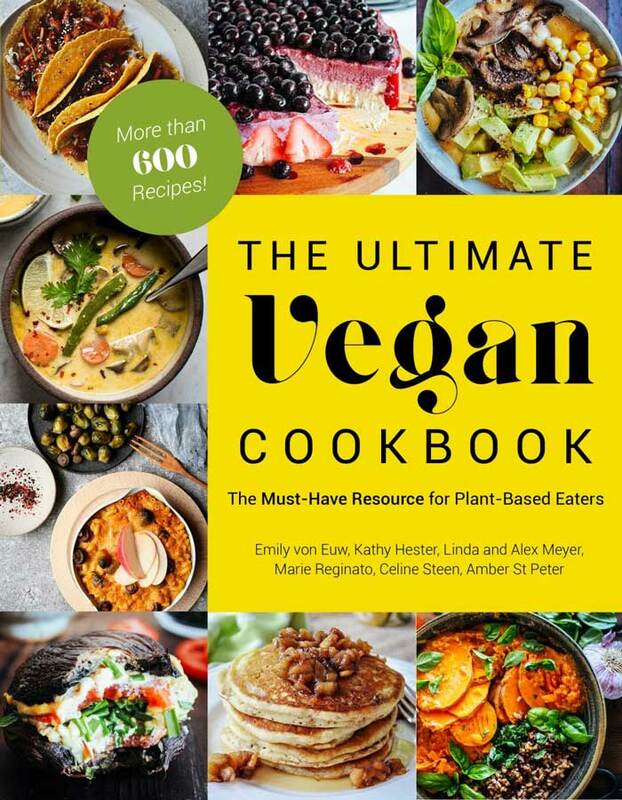 You can use any plant-based milk that you like. 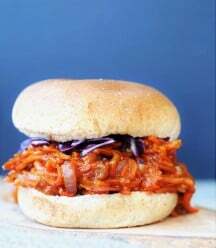 Third – Stir the ingredients together, cover with a lid and refrigerate overnight. 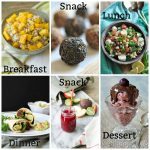 Seven ingredients and three easy steps will provide you with a delicious and healthy meal that you and your family will love. Make an entire weeks worth at once and you’ll have breakfast ready every morning. Of course this also makes a wonderful mid-day snack or a dessert. WHAT DO OVERNIGHT OATS WITH CHIA SEEDS TASTE LIKE? For those of you who are new to the whole chia seed scene, we understand why you might be hesitant. I mean, my first encounter with them was when I was a teenager and the chia pet became a phenomenon. 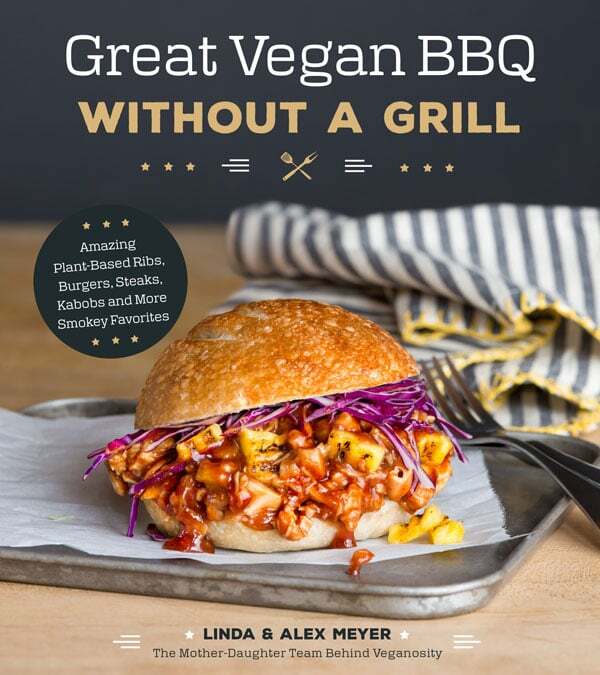 When I learned that you could actually eat them, I was highly skeptical. Chia seeds are nutrition bombs! They are filled with omega-3 fatty acids, antioxidants, fiber, iron, calcium and more. 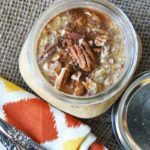 They’re an excellent ingredient to add to overnight oats because they create a thick pudding like texture. This is where breakfast starts to feel like dessert. The only drawback to chia seeds that I can attest to is that one or two seeds always get stuck in my teeth. That could be considered a bad thing, depending on how you look at it. I look at it as a good thing, because it forces me to floss in the morning and not just at night. A healthy breakfast that tastes like dessert! 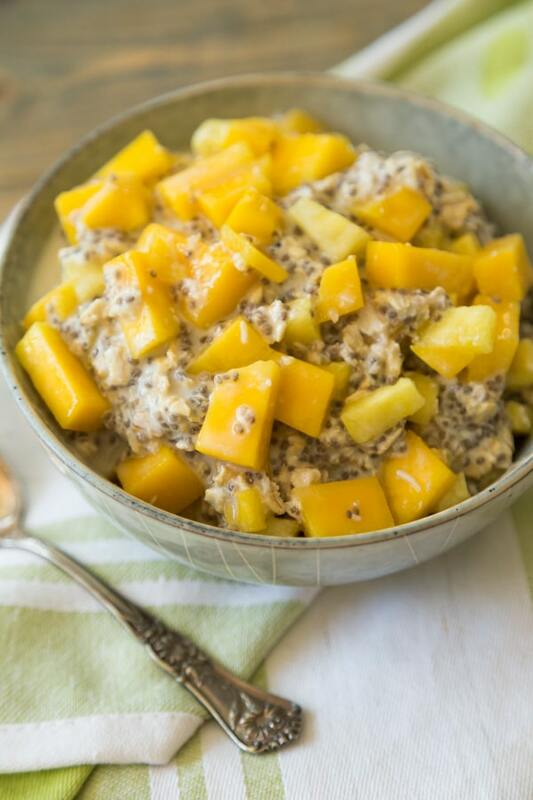 Fresh mango and pineapple with nutrient rich chia seeds and rolled oats is the perfect way to start your day. 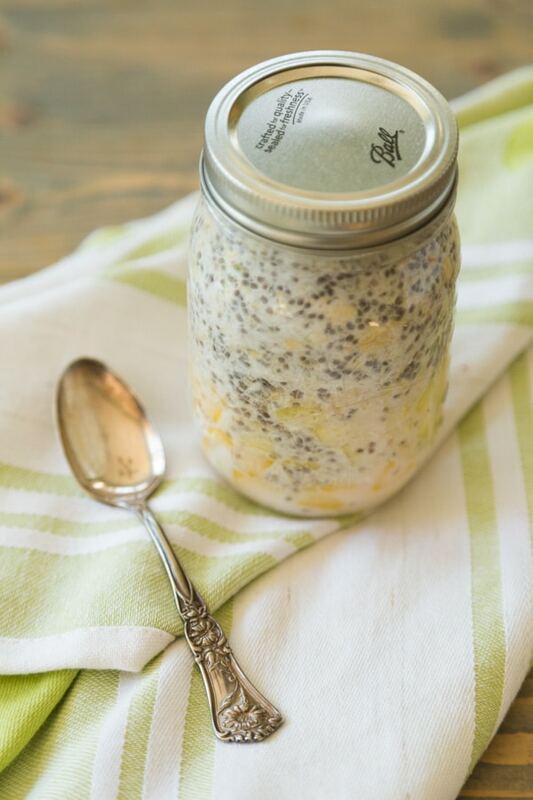 Combine all ingredients in a 16 ounce mason jar, stir to combine, cover and store in fridge overnight. 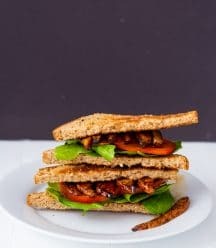 This looks wonderful, love the healthy ingredients and totally craving it now. Thanks! Thank you! 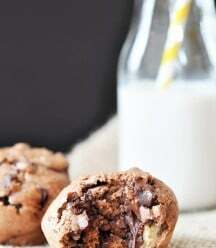 They're so easy to make and even though they're healthy, they taste so decadent! 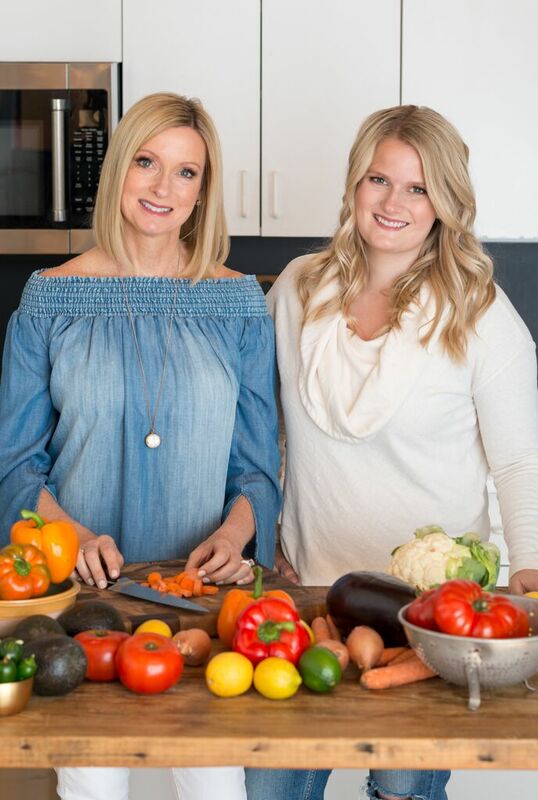 I've been trying to cook my way through my pantry, because I have so much food that I haven't been eating. 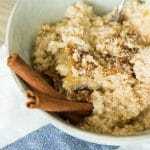 I have lots of chia seeds and rolled oats, so this recipe is perfect! I'm going to get fruit to today and hopefully this will be tomorrow's breakfast! I have the same problem right now. We've been out of town and eating out more than usual. I know you're going to love the oats. Enjoy! 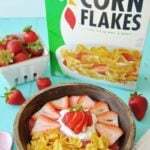 This is the perfect breakfast for summer! 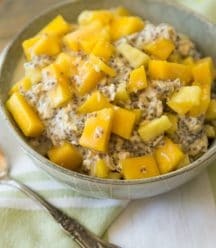 I love chia seeds with oats and the coconut-mango combination takes it to another level. We probably aren't high sugar consumers in our home, but sugar is still a weakness for both my husband and I. So it's nice to have something naturally sweetened for breakfast. Thank you, Alisa! We're not big on processed sugar or even things like lots of maple syrup or coconut sugar, that's why we love sweetening with fruit. It's so much healthier.